The golf school will utilize the FlightScope launch monitor to test your clubs against Nike’s new clubs to see which create more club head speed and distance for you. This is an open demo day for all golfers. They will host Cobra 1-5 p.m, April 6. During that demo day, you can make a 30-minute appointment and be fitted for your equipment personally with the Cobra representative. 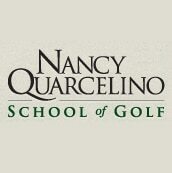 This demo day will also be open for all golfers, as well.